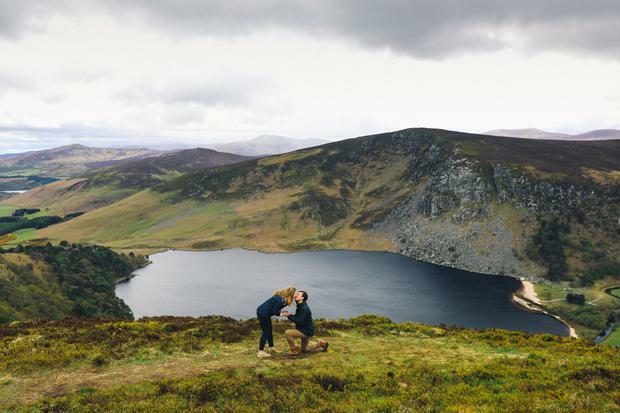 The breathtaking pictures, taken by Irish wedding photographer Nick O'Keeffe, capture the moment romantic groom-to-be Dallen McNerney got down on one knee in front of girlfriend Sky Sprayberry at the J.B Malone Memorial in Glendalough, Co. Wicklow, to ask for her hand in marriage. 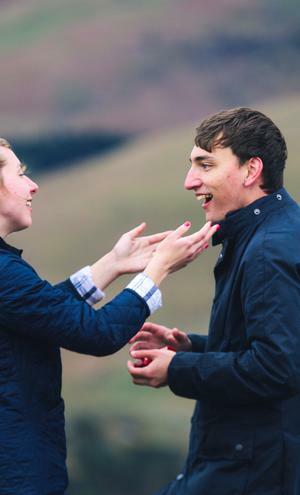 The whole romantic exchange was captured perfectly by photographer Nick, who managed to hide in plain sight before Dallen popped the question to his unsuspecting girlfriend. 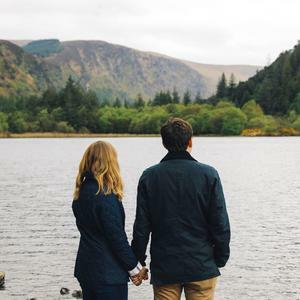 "I told Sky on our way to Glendalough that I wanted to make a quick stop, based off a coworker's (fictional) recommendation," said Dallen, who is from the U.S and was visiting Ireland on holiday with his girlfriend. "Nick was pretending to be a landscape photographer, so he was able to 'hide' in plain sight." 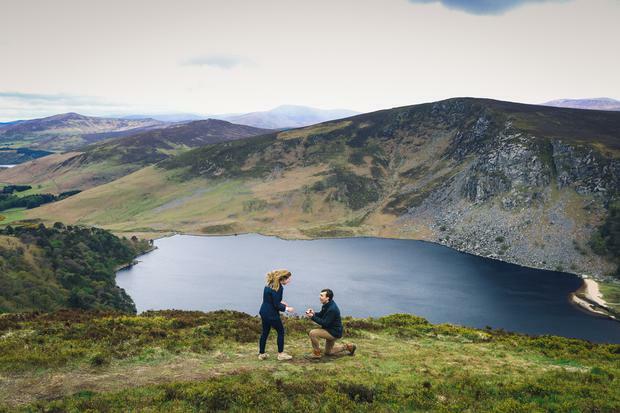 The couple was planning to visit Wicklow on a birthday trip to the Emerald Isle, and Dallen, long fascinated with the beautiful Irish countryside, chose the spot to pop the question because of relative seclusion and its breathtaking views. "I have a predominately Irish heritage and I have always been fascinated by the beauty of the Irish countryside," said Dallen. 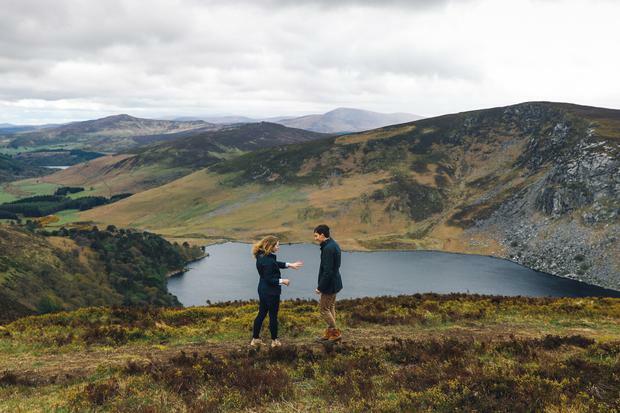 "Sky and I were already planning on visiting the Wicklow Mountains, and I thought the area perfectly captured the essence of what Ireland meant to me; bright green scenery, wide open sky... I also wanted a spot that was a little less touristy and offered some seclusion. "After some research, I found the J.B. Malone Memorial - with Lough Tay in the background - and the pictures were absolutely breathtaking. I knew it was the perfect place." For Sky, the proposal was as surprising as they come, not least because she was the one who had suggested the trip in the first place. "I had been the one to suggest a birthday vacation in Ireland and he wasn’t acting oddly or anything, so I had no reason to think something was going to happen," she said. "Dallen had picked out the most beautiful sapphire solitaire ring. He apparently didn’t ask for anyone’s input while picking out the ring, but somehow he picked the perfect one!" After a somewhat spontaneous engagement shoot around Glendalough, the couple went out for a surprise romantic dinner at Patrick Guilbaud in Dublin. "We both consider [the dinner] to be the best meal of our collective lives," added Sky. "He couldn’t have planned a better day for us!" 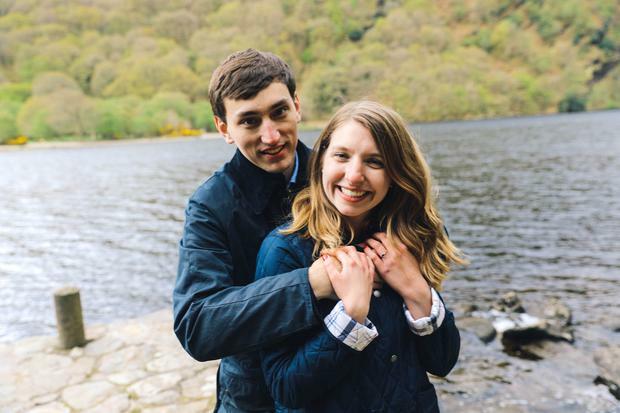 When it came to arranging the proposal, Dallen credited Nick and his studio manager Rachel with helping him to pull it off. "I contacted Nick about a month prior to the proposal," Dallen explained. "I had started off looking online for Dublin area wedding photographers and thought his work was exactly what I wanted. Nick and his studio manager Rachel were incredibly helpful in planning and setting up the big day." "I knew beforehand that the moment was going to be one of the happiest of my life. I wanted to memorialise the excitement and joy of the moment along with the picturesque scenery. I knew Nick would be able to capture all of this, and the results were phenomenal. I know that years from now we'll still be able to look back at these pictures and have every vivid detail saved." Have your engagement story/photos featured here! 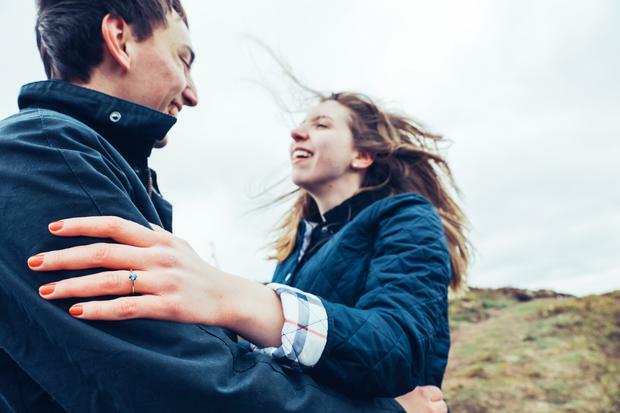 Did you pop the question to your other half recently? Or are you planning to get down on one knee over the festive season? Send your proposal stories and photos/videos to editor@thevow.ie or hashtag #THEVOW on Instagram and we could feature your story here!